Perpetual.portrait is a work inspired by Oscar Wilde’s The Picture of Dorian Gray. It is a networked self-perpetuating portraiture application created to be distributed and viewed via the internet. The Picture of Dorian Gray tells of the transference of sin from the subject of a portrait, Dorian, to his portrait. The suggestion is that the gaze of Dorian adds to the accumulation of sin in the portrait. By staring his actions in the face he confronts his own deeds and sees his true self as no mirror could reflect it. By studying his portrait he destroys it, distorting himself. The story culminates with the death of Dorian and the discovery of his body next to the portrait, Dorian horribly disfigured while his portrait is as fresh as the day it was painted. A digital photographic portrait was taken daily for the period of one year. The photographs measure exactly 320 pixels wide by 270 pixels high, giving an equivalent to the amount of seconds in a day. The complete collection of digital photographs represents a calendar year, a single photograph a day and each pixel of each photograph a second of that day. The photographs become more than simply representational forms, they are transformed into a database of information which can be copied / pasted / modified / deleted / broken down and manipulated as required. Collectively they form a documentation of change as seen in the artists face. Aging, health, mood, state of mind are all recorded. Above: video of the portrait. Above: screenshots of the portrait. Perpetual.portrait, the application, uses these photographs, this database, as its source to assemble the portrait. 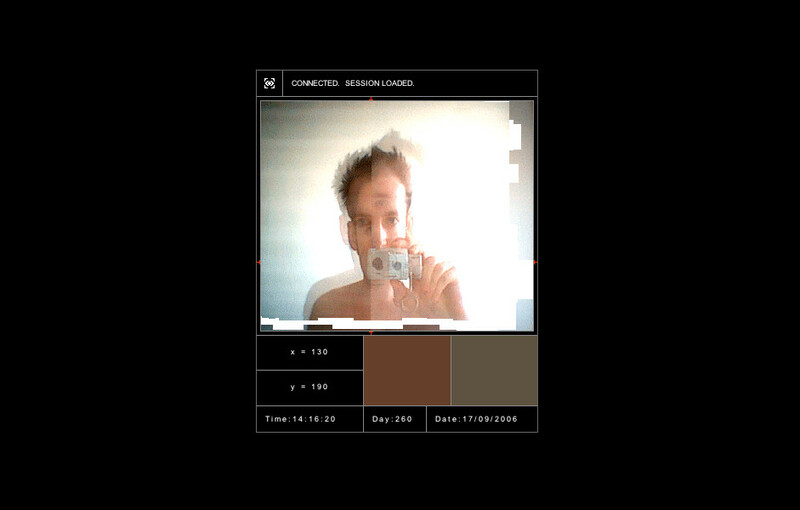 For any given day it uses the corresponding photograph and updates it pixel by pixel until midnight, when it becomes the photograph for the next day. Each version of the application evolves uniquely with time for the viewer / user who observes it. Starting from the same series of photographs it becomes a unique portrait, reflecting the gaze of each and every viewer / user and their time watching it. Their presence, their gaze, their connection contributes to the fragmentation of the portrait and further diffusion via the network. Perpetual.portrait is both an ideal portrait and an anti-portrait. As an ideal portrait, it continually modifies itself to reflect change in the subject. It is no longer the impression of a subject at any one given moment but instead displays samplings of all and every possible moment, every possible permutation. As an anti-portrait the subject is in a continual state of degradation, the face is continually eroded away, the image continually polluted, corrupted. While the concept of ‘digital’ typically evokes ideas of longevity and one of the primary shortcomings of traditional arts is preservation, here the technology purposefully assists in the deterioration of the work to keep it in constant flux. 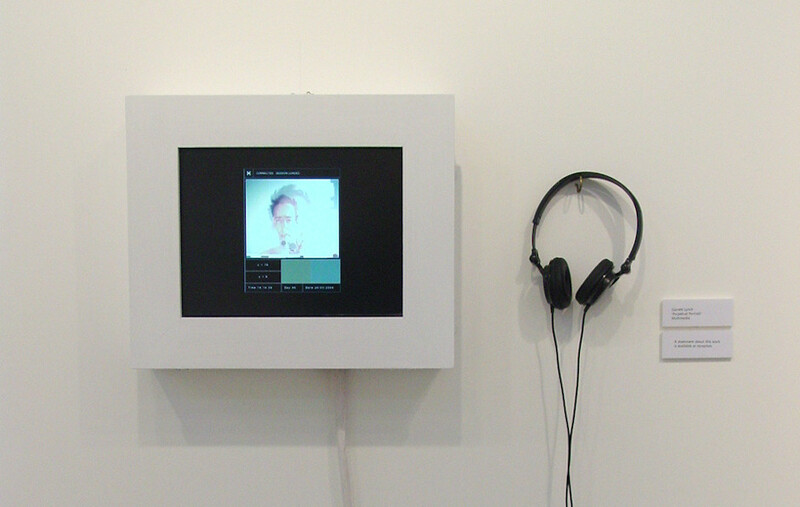 Above: Perpetual.portrait exhibited at Renewal 1868/2004, Sidney Cooper Gallery, Canterbury, England. Perpetual.portrait has been exhibited at Renewal 1868/2004, Sidney Cooper Gallery, Canterbury, England, Web Biennial 2007, Istanbul Contemporary Art Museum (iS.CaM) and Broadstairs Campus Canterbury Christ Church University, Broadstairs, England.